Several years ago, Steve Garvey made a surprising discovery when helping his parents move into an assisted living facility. His mother, Millie, had saved every letter Steve had written from Michigan State University and later from his early days as a Dodger minor leaguer. 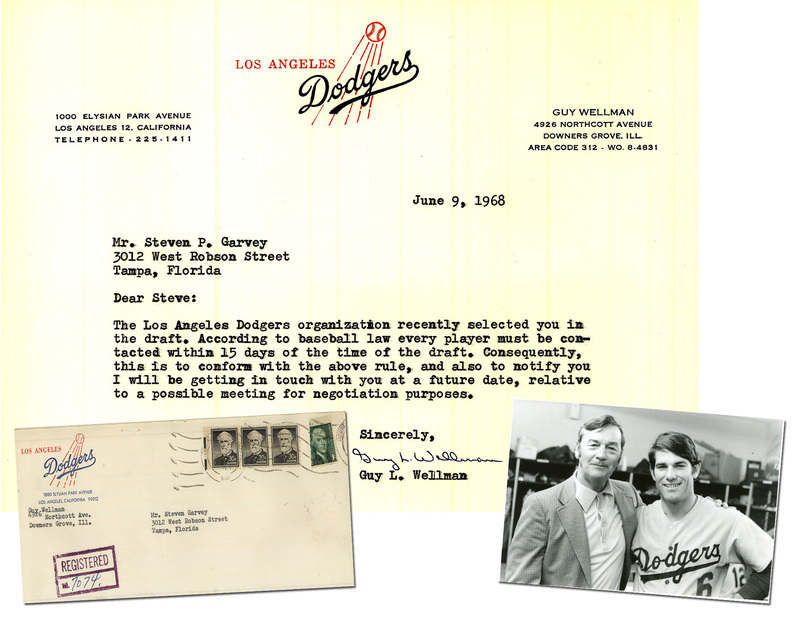 Among the letters was the one from the Dodgers via registered mail, informing Garvey he had been selected in the 1968 Free Agent Draft. Also among the paperwork saved by Millie Garvey was a brochure for the “Third Annual Michigan State University Baseball Coaches Clinic – Feb. 24, 1968.” Among the instructors was Detroit Tigers pitcher Mike Marshall, who also was a MSU Doctoral Candidate. In 1974, Steve Garvey (N.L. MVP) and Mike Marshall (Cy Young Award) would key the Dodgers to the team’s first pennant since 1966.